Looking to try some Long Island wines? Long Island wine country has numerous amounts of wineries and all of them have fabulous wines. However, there are some that just seem to have received a little more attention than others! The following wines have been noted as some of the “must try” Long Island Wines selected by the Long Island Wine Guide. Sit back, sip, and enjoy! Cheers!! Osprey’s Dominion 2000 Flight Meritage: This full-bodied blend of Merlot (60%) and Cabernet (40%) boasts a blackberry aroma with layers of new smoky oak and fleeting herbal notes and features a velvet texture with ripe tannins and a long finish. A winner of the “Best in Class” at the 2004 New York State Fair, the “Double Gold Medal” at the 2004 Tasters Guild International and the “Gold Medal” at the 2004 Finger Lakes International Wine Competition. Average price per bottle: $35. Castello di Borghese 2001 Cabernet Sauvignon 2000 Reserve: This Cabernet, with its deep ruby garnet appearance, features a rich start that tapers to a textured, rounded and well balanced finish. Look for hints of licorice, black plum, vanilla and black cherry. Average price per bottle: $35. Laurel Lake 2002 Syrah: This full-bodied wine, barrel aged in French Oak for 18 months, is a fine example of the intense flavor for which the North Fork is well known. The 2002 Syrah is soft and silky with hints of pepper. The palate gives generous berry flavors with fine toasty oak finish. The Laurel Lake 2002 Syrah was a winner of the Florida State Fair International Wine Competition 2002. Average price per bottle: $20. Lieb Cellars 2003 Chardonnay Reserve: On the heels of its award winning 2002 vintage, Lieb’s 2003 Chardonnay Reserve may even beat its predecessor. Whole cluster pressed, using only first-run juice, it was stainless fermented with finishing for six months in neutral French oak. Elegant and well balanced with aromas of spiced apple and pear, hints of marzipan and toastiness, this Chardonnay flows beautifully on the palate. Average price per bottle: $18. Martha Clara 2004 Five-O White: A blend of six white varietals including Chardonnay, Sauvignon Blanc, Semillon, Viognier and Gewürztraminer, bringing together the best of each varietal. This medium-bodied white reveals deep exotic perfumes and more subtle flavors of white fruits. Try this 2006 Jerry D. Mead New World International Wine Competition “Silver Medal” award winner with seafood. Average price per bottle: $25. Macari Vineyards 2003 Reserve Barrel Fermented Chardonnay: This elegant chardonnay was crafted in small quantity, using only hand-selected grapes. It features an enticing nose of caramel, apple and spicy Asian pear that leads to a creamy, almost frothy sensation on the palate. This chardonnay offers the perfect balance of fruit and oak, with hints of tropical fruits and stone fruit. Average price per bottle: $25. Castello di Borghese 2001 Merlot: Aged in French oak barrels for 13 months, this Merlot is well balanced with aromas of rose petal and cinnamon, a soft fruit flavor with a hint of black pepper and a beautiful garnet color. Average price per bottle: $20. Palmer 2003 Merlot: This merlot features ripe plum and berry flavors balanced with soft tannins and smoky oak. Its rich color and supple structure are a fine compliment to red meats, pork, poultry and medium flavored cheeses. The 2003 Palmer Merlot was a “Silver Medal” winner in the 2005 Taster’s Guild International competition. Average price per bottle: $19. Osprey’s Dominion 2001 Reserve Chardonnay: A “Silver Medal” winner at the 2005 New York Wine & Food Classic, this delicious chardonnay features a ripe tropical fruit aroma of pineapple and grapefruit with hints of green apple, toasted oak and vanilla. Aromas of apricot, peach, pineapple and toasted yeast round out this unique delight. Average price per bottle: $20. If you plan to visit Long Island vineyards, make sure to add Martha Clara’s Vineyard to your list. Martha Clara’s Vineyard on the North Fork of Long Island was purchased by the Entenmann’s family in 1978 and was originally a potato farm. In 1995, they caught the “grape bug” and planted 18 acres of vitis vinifera grapes and they haven’t looked back since. Over the next four years, they expanded to over 100 acres of growing grapes and the vineyard is just lovely. Biking on the North Fork of Long Island offers many options for guests of the Arbor View House Bed and Breakfast. Seaview trails in the Southport area offers over 57 miles of bike trails. Trails can range from 5 5 to 14 miles and can accommodate all levels of experience. The trails include Southold Bay Loop, Mattituck, Orient Loop, and Southold View Loop. The ocean views are spectacular and their trails are safe and easy. 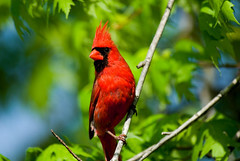 If you enjoy bird watching, make sure to visit Long Island’s Shelter Island. Shelter Island is just a short Ferry ride from the village of Greenport, NY is a perfect location to bike and watch birds. If you don’t plan to bring your own bike, do not worry as rentals are available at the Mobile Station not far from the North Ferry dock. Although bird watching can be done from about any location on Shelter Island, one of the favorite locations is Mashomack Preserve, known as a nature lovers’ delight. Mashomack Preserve is considered one of the richest habitats in the Northeast. The preserve contains 2,039 acres, which is about 1/3 of the island. Among the riches to be found are tidal creeks, oak woodlands, fields, and freshwater marshes. The preserve is often referred to as the “Jewel of the Peconic” and is edged in white by 10 miles of coastline. Mashomack Preserve is open 9 A.M. to 5 P.M., March through September, and 9 A.M. to 4 P.M. October through February. The first annual Long Island Wine and Food Festival takes place on June 25-27th and plan to be part of the festivities! The Long Island Wine and Food Festival starts on Friday with a VIP Kickoff Reception at Roanoke Vineyards at 7 P.M. Over four dozen local wines will be tested and local flavors will be prepared by aMano Osteria & Wine Bar. On Saturday, June 26th, the day will be jam packed with events at local vineyards starting at noon. Renowned chefs will include Chef Lia Fallon, a New York-based chef and food stylist extraordinaire; Chef Arie Pavlou, Executive Chef at the soon-to-open Comtesse Therese Bistro in Aquebogue; and Chef Noah of Noah’s Place in Greenport. Paula Croteaux, owner of the Farmhouse Kitchen Cooking School, will be doing demonstrations; organic wines will be paired with chocolate, art shows will be happening, and wine, wine, and more wine will be flowing! Sunday the weekend wraps up with a Grand Tasting at Mitchell Park in Greenport. Over 50 local wineries and restaurants will participate while overlooking the lovely view of the harbor. Weekend guests of the Arbor View House Bed and Breakfast will receive two complimentary tickets for the Grand Tasting on June 27th, so make your reservations soon!